This video will show you the Unboxing the 3rd Generation Apple TV. Apple TV allows you to stream movies and TV shows that are available online in the iTunes Store to your HDTV. All the movies in iTunes are on a rental or purchase basis, and all your purchases are then stored in the iCloud. 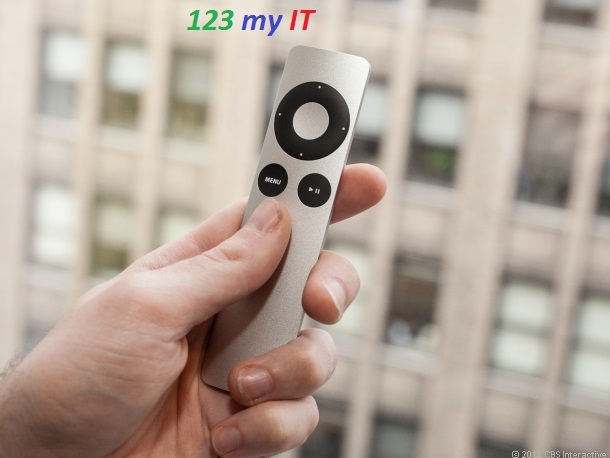 Apple TV also streams a few other online media services such as Netflix, Hulu Plus, MLB.TV. You can stream Music, videos and photos from iOS devices using AirPlay. The Apple TV box has not changed since the second generation, the hardware inside has been upgraded from A4 chipset to the A5 Chipset. This upgrade allows streaming video at a higher resolution 1080p as apposed to 720p. The Apple TV’s design is seen as the best around. Its a simple small black box and has a small white light at the front when the device is turned on. On the back of the box it has the following ports. * Wifi 802.11n – There is not port for it have ever it is built in. The unit doesn’t come with an HDMI cable so make sure you buy one other wise you will be in for a rude shock when you go to plug this unit in. The Apple TV also comes with a small brushed aluminium remote that has only 4 buttons. A navigation circle at the top, which you can press to move up and down and left to right, a Menu button which works as a Back button, and a Play Pause button. If you download the Apple remote control app you can control the Apple TV with your iPhone or iPad. Over all the Apple TV seems to be a solid streaming device and if you have other iDevices like iPhone and iPod its probably worth looking into it. However the lack of a USB port for me is disappointing as it means you cannot plug an external USB hard drive directly into the device. 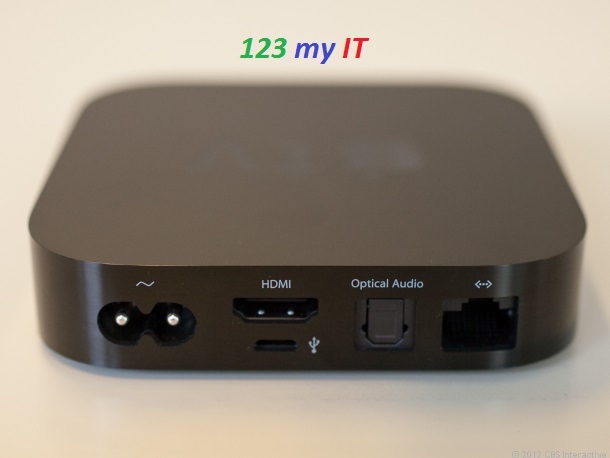 This entry was posted in MAC and tagged 1080p, 3rd generation, apple, apple tv, tv, unboxing by admin. Bookmark the permalink.